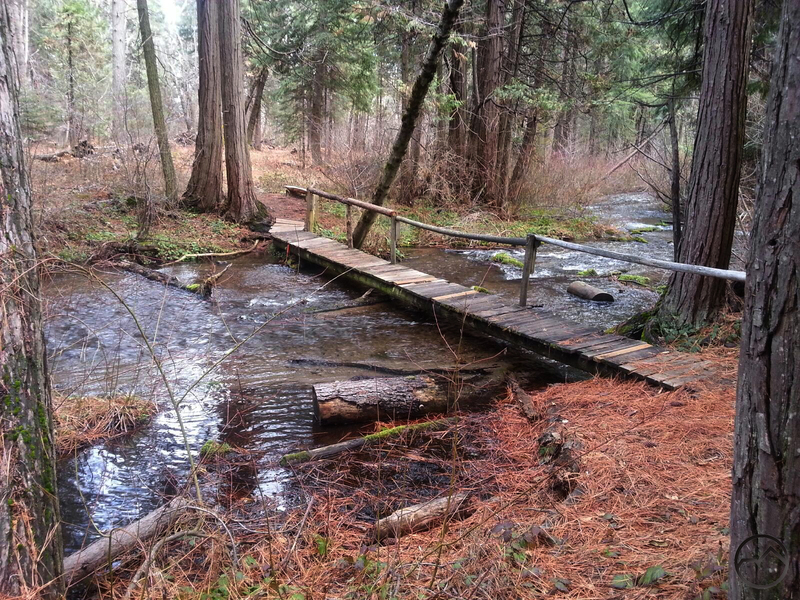 Many of the trails around Mount Shasta follow the area’s rivers and creeks. The swift mountain waters race through rocky channels and meander about in lush meadows and these are the images that usually come to mind when contemplating outings past. One essential feature of trails in proximity to water is often appreciated while hiking and often overlooked while reminiscing. Bridges are typically a means to an end, getting from one side of the water to the other. The usual highlight are the rivers and mountains but, once in a while, there are structures that capture the imagination and draw our attention. They linger in our minds, having enhanced our outdoor experiences by their beauty, uniqueness and integration into the natural setting (or contrast against it!). 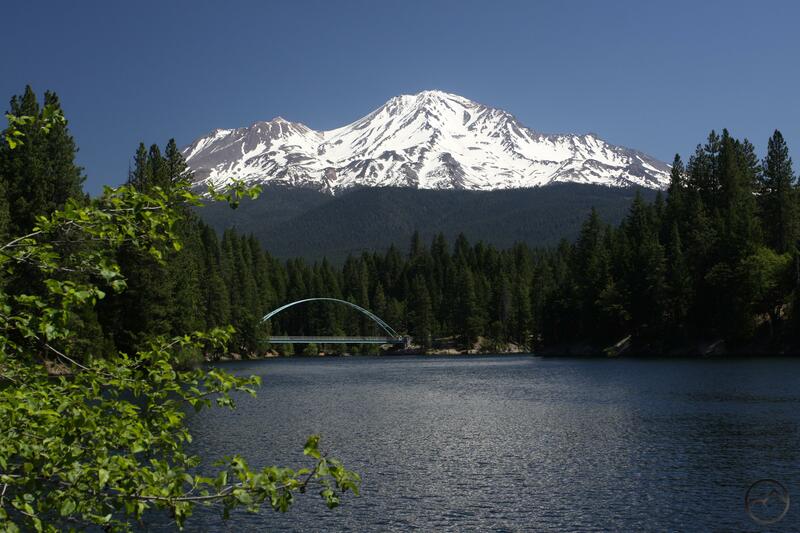 Though there are no footbridges on Mount Shasta itself, the paths that course through the canyons and mountains boast several interesting spans. 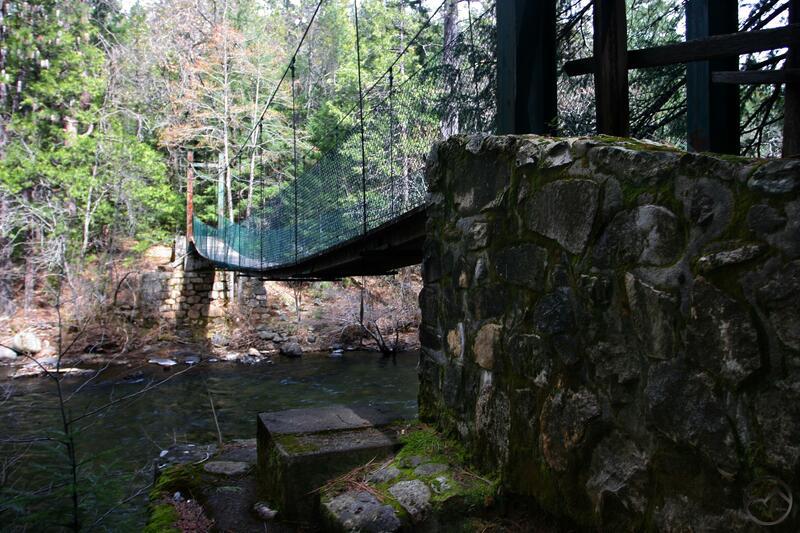 Although the paths around Mount Shasta boast many interesting bridges, there are five that are particularly noteworthy for their engineering, construction, uniqueness or beauty. A few just missed being included on this list. Perhaps they will be the subject of a sequel (especially if the proposed project to Mossbrae Falls ever crosses the Sacramento River)! The Elsa Rupp Preserve is probably not the first place that comes to most people’s minds when thinking of interesting footbridges. Yet, the humble span across Big Springs Creek always seems to capture the imagination. Consisting of a series of small planks nailed to a log that extends across the creek and augmented by a rustic handrail, it integrates beautifully with the surrounding scene. The creek is wide and boisterous and invites hikers to pause and enjoy the serene setting. Like many other structures, this bridge enhances the natural setting and seems more like an artifact from medieval history or a fantasy tale. 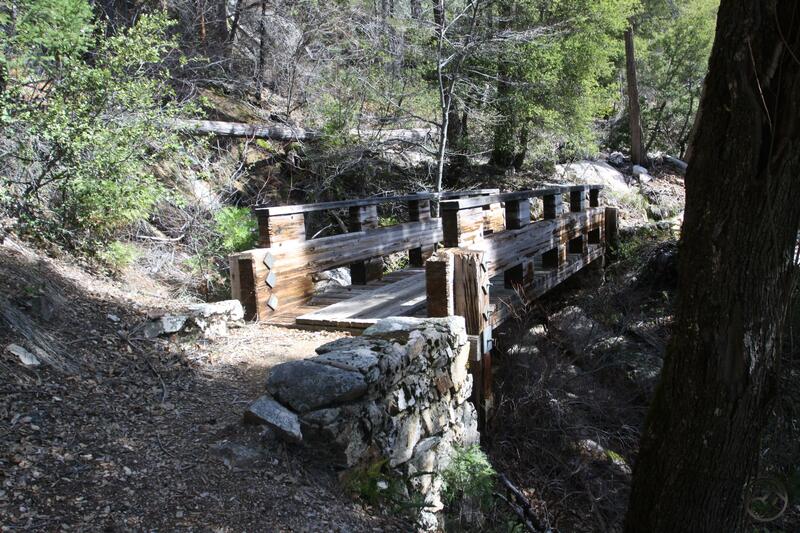 Another fascinating specimen found on the Pacific Crest Trail, the span across Squaw Valley Creek is another example of the construction enhancing the natural setting rather than burdening it. At the location of the bridge, the creek races through a picturesque, rocky gorge. Indeed, this is one of the prettiest spots on the Squaw Valley Creek Trail. The gorge is not wide but it is deep and this provided engineers with the opportunity to use a design where clearance beneath the bridge was not a concern. What makes the structure noteworthy is the arched supports on the bottom of the construction. Essentially a wooden arch-under bridge, it is an unusual design for a footbridge. The graceful lines of the arch seem perfectly placed to enhance the scene as the water rushed below. Tucked away in a little used corner of Castle Crags State Park, the Sacramento River Trail is a delightful path that follows the Sacramento River for about a mile. While the scenery is fantastic along its entire length, it is the beginning of the hike that still stands out as the real highlight. To reach the trail, it is necessary to walk across the Sacramento River on a swinging footbridge. Long and narrow, the span is a classic suspension bridge with rock piers at either end that are surmounted by steel towers from which the support cables are suspended. With great views of the river and its bouncy nature, this bridge hearkens back to a bygone era where this design was more typical. 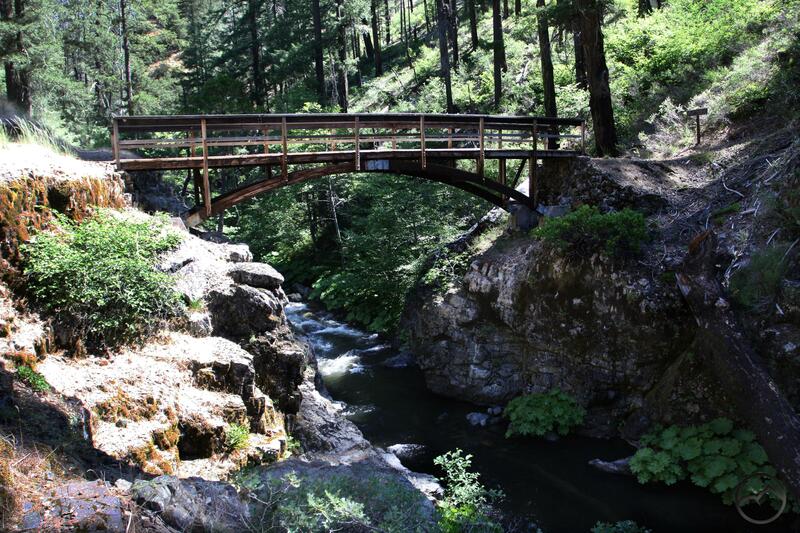 The massive footbridge that crosses the Wagon Creek arm of Lake Siskiyou is the undisputed champion of hiking bridges in the Mount Shasta area. 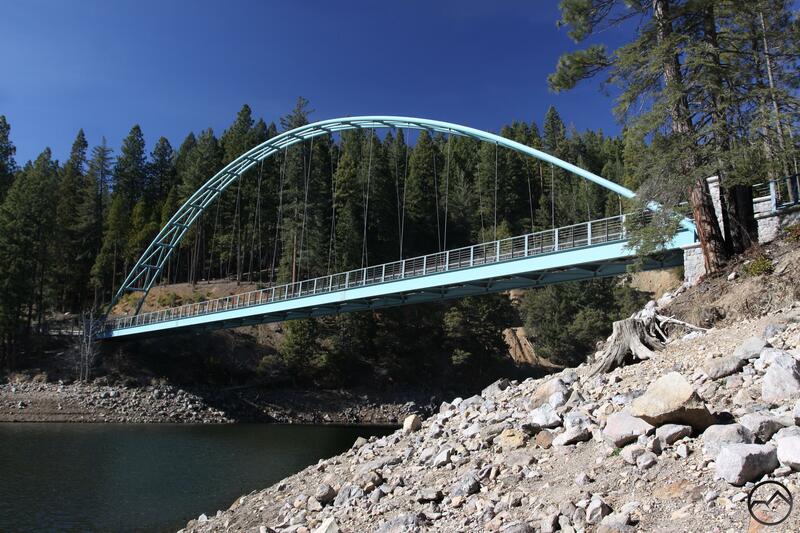 A large suspension bridge, the span is one of the iconic structures in southern Siskiyou County. Prior to construction, it was not possible to hike the entire Lake Siskiyou Trail. With the completion of the bridge, the loop was closed and the trail is now one of the most popular in the region. The span consists of a wood and steel deck that is suspended by cables from a massive arch. It is simply an impressive structure by any measure and is an attraction unto itself. I know the bridge of which you speak. It is a neat one. A good bridge is a beautiful thing, even in a wild setting. One of the many things I love about the Frank Church and Selway-Bitterroot wildernesses in Idaho is the abundance of neat, big suspension bridges up there. There’s one I’ve even slept on a few times. Some of them were real labors of love, built by dedicated oddball Forest Service men or wilderness loners with little outside assistance. That does sound awesome Jackson. I am envious. I have always wanted to go a ways into that area but my exposure has just been limited, and only on the Bitteroot side in Montana. How high over the river was the bridge you slept on? Probably 20 feet or so. Those undammed Idaho rivers can go so big in a wet spring, they have to be high for all the logs to pass under.